The ships’ GPS systems suddenly began to indicate they were actually 65 kilometers away, on land, in the middle of an airport. The incident is one of many highlighted in a new report that found the Kremlin “spoofed” global positioning systems, or GPS, to effectively place a bubble around Putin or properties associated with him. The researchers, with a nonprofit called C4ADS and the University of Texas at Austin, used public marine GPS databases, as well as a GPS monitoring device on the International Space Station to track similar instances. The researchers theorize that one reason “spoofing” is deployed is to protect Putin and other Russian officials from attacks or surveillance by drones that rely on GPS. “The purpose of this spoofing activity was likely to prevent unauthorized civilian drone activity as a VIP protection measure,” they wrote in the study. However, there’s a drawback to creating a GPS bubble around a world leader, said Todd Humphreys, an engineering professor at the University of Texas at Austin, who was involved with the study. It also makes it easier to keep track of Putin. 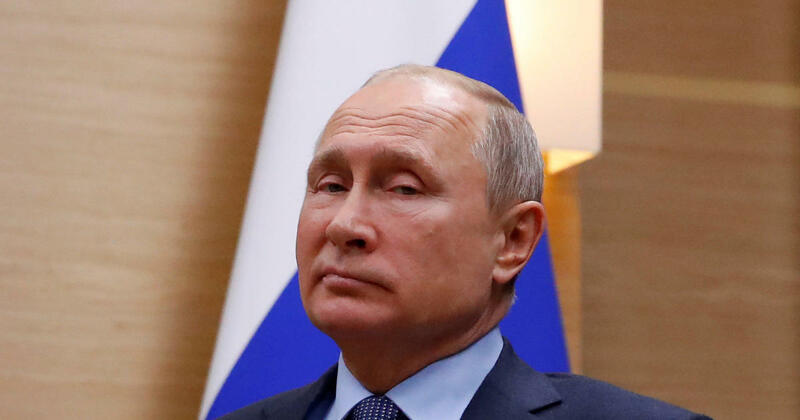 “What’s ironic is if you look at these patterns, and if you coordinate it with the movements of the leader of Russia, it appears you have a Putin detector,” Humphreys said. In other words, if you detect spoofing, there’s a good chance Putin may be nearby. The technique could also prove dangerous. The 24 maritime vessels that reported the Kerch bridge incident were otherwise unaffected. But Humphreys said a similar tactic in Syria could affect airplanes, which require functioning GPS to stay out of harm’s way. The researchers identified Russian equipment in Syria emitting what Humphreys described as “a whole different signal, one that was much much stronger, but not spoofing.” The signal appeared to be jamming airplane GPS units, effectively rendering their navigation systems inoperable. “Norway and Finland reported severe GPS outages affecting commercial airliners and cell phone networks for several days,” according to the report.